Ben Gilbert knows a good idea when he sees it — or at least how to put it through a rigorous amount of testing to make sure it’s as good as it looks. For Gilbert, those moments of success make all the work worth it. “It’s difficult to describe the adrenaline rush that you get from working on an idea that goes from not working to working,” he says. 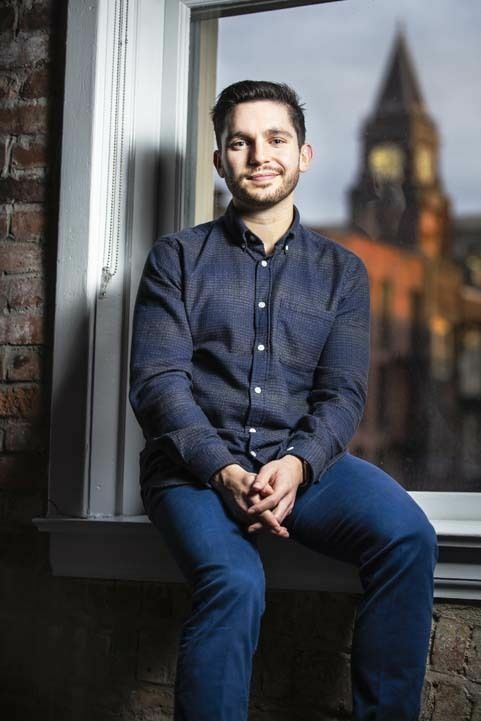 GeekWire’s 2017 Young Entrepreneur of the Year got acquainted with entrepreneurship as a student at Ohio State University, where he participated in Startup Weekend, eventually getting involved with and helping run the event in 25 different cities. While in college, he also developed a to-do list app that got 1 million downloads in the early era of iPhones. In his free time, Gilbert co-hosts the popular podcast Acquired, which analyzes tech acquisitions. He also enjoys the great outdoors — the Eagle Scout has fallen in love with Seattle’s ample opportunities for hiking and biking — and volunteers with the Trust for Public Land. He recently joined the board of the Anti-Defamation League, whose mission to combat hate resonates with him in the current political climate. Semitism and the oppression of other people is happening online,” Gilbert says. The more that technologists pay attention to these issues, he believes, the better the chance of making online spaces safe for everyone.